Should I Advertise On Snapchat? | SeedX Inc.
Should I Advertise on Snapchat? Social media advertising is a trend that has been developing very rapidly for the past two to three years. Once users became familiar with social media, it’s also become obvious that these platforms are not only a good way to communicate and share but also to advertise. We are all familiar with the traditional social media platforms that companies use for advertising. According to Statista, Facebook, Instagram, and Twitter top the list of the most popular social media platforms. But if you look at the bottom of the chart, you’ll see that Snapchat, which is also a popular social media platform with over 180 million daily active users, is the least popular platform for advertising. Why is that? Let’s try to figure it out. Snapchat is a social media platform with a very specific functionality. The principal concept of Snapchat is that it uses the format of a story. Stories are only available for 24 hours and then they Snapchat deletes them. What once was just a messaging app, has evolved into an exciting format of a social media platform. Besides the “Stories” format, there’s also the “Discover” option. It means that brands can show their ads in the form of short-time entertainment. The major difference of Snapchat is that it doesn’t have a desktop format. You cannot access it from your computer. It’s a mobile app, focused on the content fit for your smartphone. Because the content on Snapchat isn’t static and disappears after a while, it makes it quite hard to advertise there. Besides, some experts claim that placing ads on Snapchat is difficult because of poor analytics reporting. 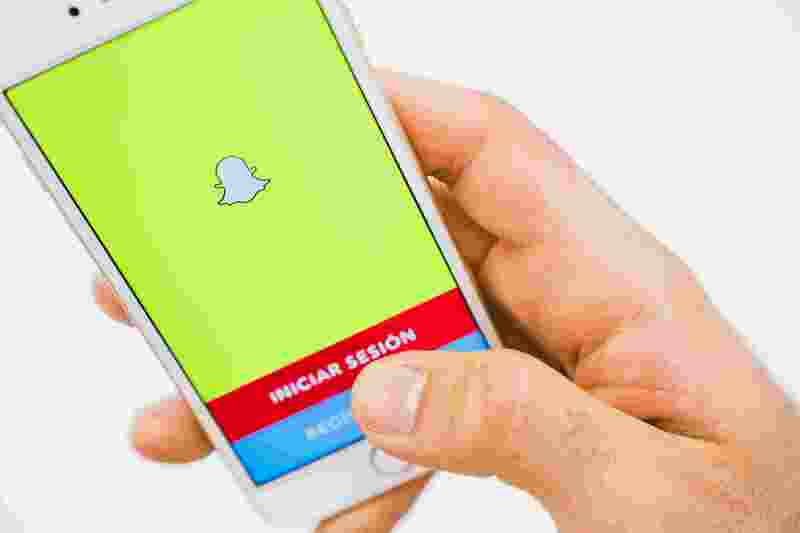 Calculating ROI and analyzing the success of your marketing campaign on Snapchat is hard, as it requires a lot of manual calculations due to a short-time presence of the content. However, there are plenty of arguments in favor of Snapchat ads. In 2016, Instagram introduced storytelling format to its users. This allowed them to share more interactive and engaging content along with posting static content like photos and videos. Instagram founders understand the value of storytelling format for marketing purposes, as it is the only way to bring something new to the feed. Thus, storytelling format is a nice way to surprise your followers with some fresh content. So why not do it on Snapchat? Each social media platform offers a unique way to advertise your business. And if you’re using some of the popular social media platforms, you should also consider advertising on Snapchat. It will bring you more media exposure and introduce you to many other benefits. Let’s take a look at some of them. We’ve already mentioned that Snapchat has nearly 200 million active users. But how much of their time do they spend on browsing this app? According to Forbes, active users visit Snapchat 18 times a day, spending 30 minutes on average. 60% of them also create instant snaps, meaning that the remaining 40% only browse Stories and Discover. In 2016, before Snapchat has put together Stories and Discover, 48% of users followed the snaps and stories posted by the brands they followed. This means that almost 50% were interested in advertisements on Snapchat. Now, all the snaps and stories posted by the people you follow appear on the same page with the stories you might be interested in. Thus, the probability that people will actually see your brand will definitely be higher. As you can see, Snapchat is a very active platform, and using it for ads and promotions can be very beneficial for your brand. First, let’s figure out, how advertisements work on Snapchat. Advertisements people see on Snapchat are based on their interests and preferences. While Snapchat can be linked to Facebook and Google, it means that it has access to your search history and some information on your Facebook page. For example, if you recently typed “Latest celebrity news” in Google search bar, there’s a probability that in Snapchat you’ll come across a related article by a famous magazine. You can just swipe up – and the article will appear right on your screen. And since placing ads on Snapchat has become more popular, this social media platform started to invest in making ROI calculations, measurements and analysis easier. On February 8, 2018, Snapchat introduced the Snap to Store feature to help advertisers measure the success of their Snapchat marketing campaigns. It shows how many people have seen their snaps and stories. It also allows advertisers to break the audience by gender, age, region etc. This will help make marketing campaigns more targeted. As Snap to Store is tied to your location, it also has a feature of using Sponsored Geofilters. This allows to group people who’ve used these filters into a so-called Snap Engagement Audience and make the ads more targeted. For example, in 2016, Taco Bell launched the Cinco De Mayo Snapchat lens that was viewed 224 million times. When you see how many people viewed these snaps, it doesn’t matter anymore that stories eventually get deleted. Taco Bell campaign has shown how powerful and creative ads on Snapchat can be. No other social media platform can offer such benefits. On Snapchat you can share insider snaps of your everyday work life. Snapchat offers its followers to share exclusive content, which stays online for a short period of time. Recently, it has become trendy to bring business closer to the consumers, and Snapchat is a great way to let your followers take a look at the working process and give them a sneak peek of what’s coming. Sharing the behind-the-scenes content has a lot of benefits, including a better understanding and appreciation of a project and extra media exposure. Snapchat allows you to advertise in an effortless manner, which is often even more appreciated than overly polished, fake-looking TV ads. It shows your followers how you approach your business and how you build your corporate culture. Also, it’s a great way to connect with your customers and let them know that they are a part of your brand too. So should you advertise on Snapchat? Definitely. If you use other social media platforms to place your advertisements, you should also do it on Snapchat. Snapchat allows you to create a kind of a channel, where you’ll upload snaps with the latest updates. This app is all about the current moment, so it is a great opportunity to keep your followers informed about the recent events and updates. You shouldn’t fear Snapchat’s storytelling format because it doesn’t store your snaps and stories. Instead, you can make the best of it. The format offered by Snapchat allows you to always remain original and creative, and keep your content engaging. So, go ahead and invest in Snapchat ads!